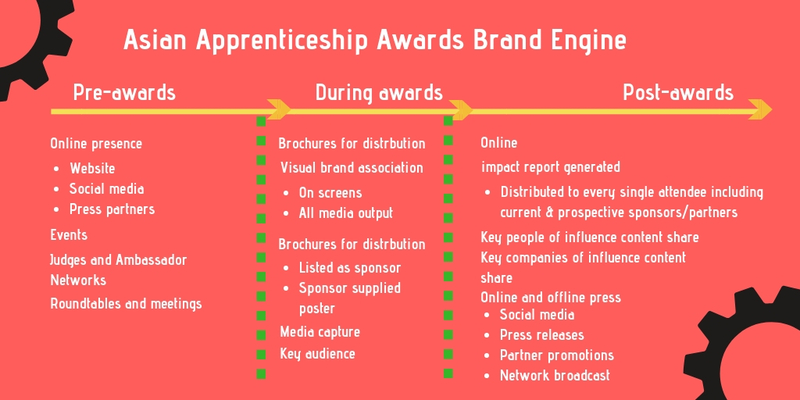 Building the brand diversity engine | The Asian Apprenticeship Awards. If there’s something that the Asian Apprenticeship Awards has taught me, it is branding and marketing. The ability to understand how a brand works, what makes a brand so successful and how the brand connects with their consumers through key motivators. Branding and marketing has for decades been about the look and feel of a product or service, colours of logos etc. Today however, a lot of that has changed. Brands are shifting towards a more consumer centred approach where the consumer drives the outcome of the brand. And brands must adapt or die faster. The transition of branding over time can be seen below. Brands must matter to the consumer. The power of social media allows consumers to react in real time which means organisations no longer need to wait for a few days before they get an understanding what people think about their brand. The best part about this is that we are able to measure brand response through metrics which have been made easily available. How brands matter to consumers can be seen through the image below. The topic of diversity plays a huge role in the work I do. The Asian Apprenticeship Awards was launched back in 2016 on the back of the report from the then Business Secretary Rt Hon Sajid Javid MP which set a target of a 20% increase in Black Asian and Minority Ethnic (BAME) diversity of apprenticeships by 2020. The British Asian demographic represent just over 4% of the uptake of apprenticeships (2017/18) which shows how underrepresented British Asians are in apprenticeships. When starting the awards, our role has been to promote role model apprentices to encourage more people from their respective communities to consider taking up the apprenticeship route. The role models that have come through the Asian Apprenticeship Awards have been phenomenal and this year, we’ll be hitting 100 British Asian Apprentices who are championing apprenticeships. From a diversity perspective, no other organisation as done this. However, for sponsors of the awards, it was brand alignment and association with our brand to promote themselves as an organisation that believes in diversity. I have seen this before. For example, Stonewall, the organisation that promotes LGBT within the workplace, hold annual award ceremonies which engage brands that in turn reflects on their LGBT diversity. For us, it was about BAME diversity. Studying this, I have learnt many things which I have implemented into the Asian Apprenticeships with the organisations I engage with which I would like to share. Over the last two and a half years working on the Asian Apprenticeship Awards, I have been extremely fortunate to work with close to 100 organisations ranging from the very large to the very small. All the companies we have engaged have very similar goals to become a more diverse organisation using apprenticeships as a viable route to boost diversity across the talent pipeline. The introduction of the apprenticeship levy has enabled organisations to begin to think about who, where and how they recruit. Entering the third year of the Asian Apprenticeship Awards, we have built a brand diversity engine which is very simple but has been extremely effective in improving the diversity image of organisations. Using some of the principles that we have used, I believe that readers of this post will benefit hugely. The image above shows a simplified process behind how we work with sponsors to align their brand to efforts around diversity. Whether it be before, during or after the awards night, at every stage we ensure that the sponsors’ brands are engaged. As a sponsor is signed up, an initial be of research is undertaken to understand their basic level marketing efforts around apprenticeships. This could be social media, online adverts etc. We use this information to promote sponsors across our online media and in meetings and events. Our press partners are selected to cover key areas where we would like to promote the awards: small and large organisations, training providers, current/prospective apprentices and ethnic minority based communities.With press partners in place, they share information about our awards which in turn promotes sponsors. Our Judges and Ambassadors are selected based on attributed such as sector based experience and influence. The marketing team develop custom marketing material for use across all mediums. We will equally profile our Judges and Ambassadors online and in print. The awards night is pretty straight forward. For every single person, we have produced an awards brochure which provides a guide to the evening, including information about who we are and our supporters. Within this will be all the sponsors and their respective categories and companies they are aligned to who are up for an award. A4 posters from each sponsor will be placed within the brochure to promote the company along with their logos against the categories they are sponsoring. These logos will also be on the trophies handed out to apprentices and employers. Visually, we use video throughout the evening to guide the audience through the ceremony. Videos are also created and shared to highlight the sponsor’s investment in apprenticeship diversity and these videos are subsequently distributed throughout our campaigns post awards and any future campaigns.We also have press partners present who will distribute content accordingly following the awards. The audience is important for us. Outside of sponsors, judges, ambassadors and shortlisted nominees, they represent key industry figures from employers and training providers to sector bodies who have influence within the sector. Many experience the evening and go onto championing the awards night. My personal opinion is that the period after the awards is the most important. We have begun recognising and celebrating deserving apprentices and employers. After the awards, our press partners will write up general and specific press pieces on the evening which is shared with our press partners and through our online and offline platforms. These will subsequently be shared with our judges, ambassadors and sponsors for distribution among their networks. Following the awards, the audience are surveyed over a period of 2 months to gather as much information on their thoughts regarding the awards night and our focus on diversity of apprenticeships. These responses are then formed into an impact report which will share further details on how the evening went, the social media impact and key pictures which reflect the atmosphere the ceremony. All sponsors will get recognition within the impact report.The impact report is then shared with all attendees, prospective sponsors, all new/outgoing judges and ambassadors, all meetings, key companies of influence (i,e sector bodies), key people of influence (i.e leading sector figures, politicians) and our online/offline platforms for download across networks. The life cycle of the impact report would follow onto the next year award ceremony. Putting the brand diversity engine into practise takes a lot of patience and perseverance. As mentioned, this has taken nearly 3 years and we have only scratched the surface of what we are aiming to achieve. However, critical to this is having the best people in place to be able to drive our common objectives and champion apprenticeships within diverse communities across the country. Improving diversity within organisations is no easy task. However, companies are starting to make progress and so long as there is progress, over time we shall see businesses across the country with workforces that represent the diverse nation they serve. 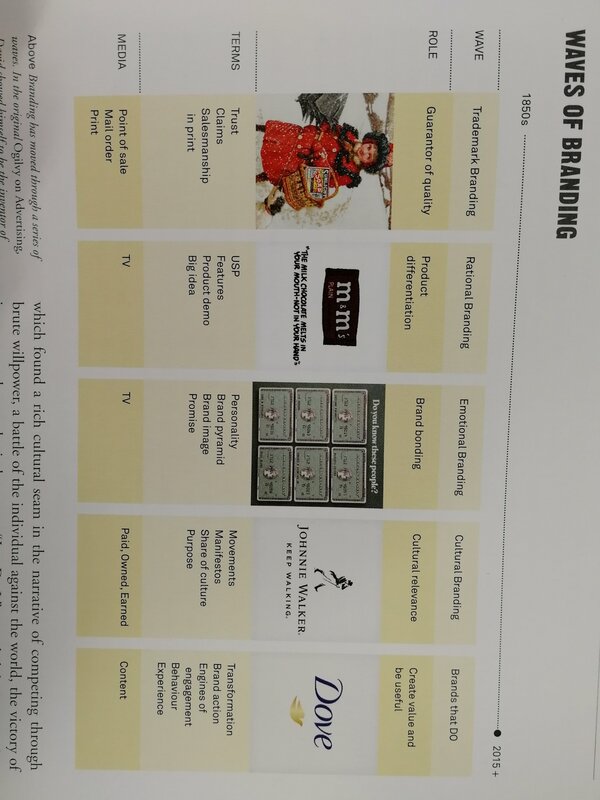 What makes a brand? By Safaraz Ali, Author of Canny Bites: 52 bites of business wisdom for leaders and entrepreneurs.